The ASPT Spetsavtomatika Company has been successfully operating in the market for fire safety and fire suppression systems since 1991. We help to protect commercial property, civil constructions, production shops and special-purpose facilities. Our profound experience and vast geographic footprint allow us to accomplish projects of any complexity in any part of the country as well as abroad. Our goal is to provide advanced effective solutions so our customers obtain not only up-to-date fire safety systems but additional value of their projects after putting them into service as a benefit. For hydraulic calculations of pipelines of gas fire extinguishing systems, the specialists of the company developed a specialized software Vector, which has the verification of the EMERCOM of Russia. 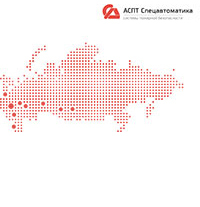 To date, Vector is used by more than 300 design engineers in Russia and CIS countries. Our design engineers use custom software that allows getting an unmatched accuracy and speed. Today ASPT Spetsavtomatika has the staff of 120 specialists, we are able to engage up to 1000 staffs for large projects.